How much longer is Google allowed to continue to violate with impunity the United States Constitution and the international law? The Moderators at the public information blogs listed below condemn Google in the strongest possible terms for content censorship. Google search engines filter, block and bury blog posts that contains contents or information it deems uncomplimentary to its and its business partnersoppressive corporate practices, thereby preventing the public from knowing the truth! Google Inc poses a clear and present danger to democracy, individual freedoms and therefore the security of the United States and the rest of the ‘free world,’ countries that are currently enshackled. To minimize Google threat, we urge those of the lawmakers who still believe in the Constitution to break up Google into much smaller, less harmful units. 5. Fox News, CNN and All Google partners (Fire-Earth believes that Google delays listing of many blog posts on the internet, thereby allowing its partners to duplicate and broadcast the topic/concept before the bloggers’ messages become searchable. 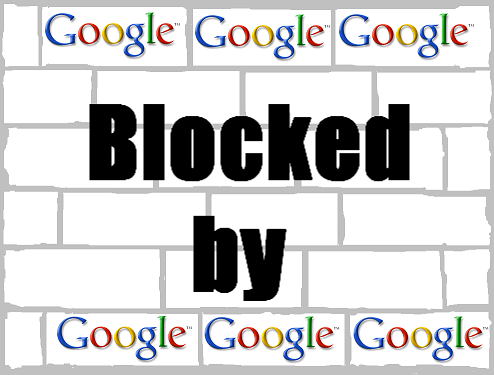 If Google China censorship in China is done to appease the Chinese government, who or what is Google, Inc (the Internet Mafia) appeasing by filtering, blocking and burying certain information posted on Fire-Earth (this Blog)? Mrs Clinton to Chinese Government: (Pointing by one hand) What you are asking Google to do is suppression of democracy; (pointing by the other hand) Google censorship in the US and rest of the ‘free world’ is for our own good. Google is trying to protect our way of life. Image source unknown. Image may be subject to copyright. I’ve found this very interesting site but I would like to know something (the very basic) about their autor(s). Who are you? How can I trust the information here if there is not a single information about the people who create it? Interesting, but can you suggest search engine alternatives that are not so censored. This is the least you could do in the circumstances. I use Startpage. From their site: “Startpage, and its sister search engine Ixquick, are the only third-party certified search engines in the world that do not record your IP address or track your searches.” Check it out.